Even avid home cooks can find a busy weeknight hectic. Fortunately, solutions like sheet pan suppers make it easy to create dishes with exceptional flavor depth that come together quickly and clean up just as fast. Keeping a variety of vegetables on hand makes it simple to pull together a family meal. Onions, for example, are versatile, flavorful, easy to store, have a long shelf-life and are available year-round from U.S. growers. For more tasty recipes, visit onions-usa.org and usaonions.com. Heat oven to 400° F. Line 13-by-18-inch sheet pan with parchment paper. In large bowl, combine onion, bell peppers, celery, garlic, jalapenos, tomatoes, 2 tbsp. olive oil, salt, and pepper until evenly combined. Spread evenly on pan in single layer. Add slices of Andouille sausage. Roast 15-20 minutes, or until vegetables are tender and start to brown. 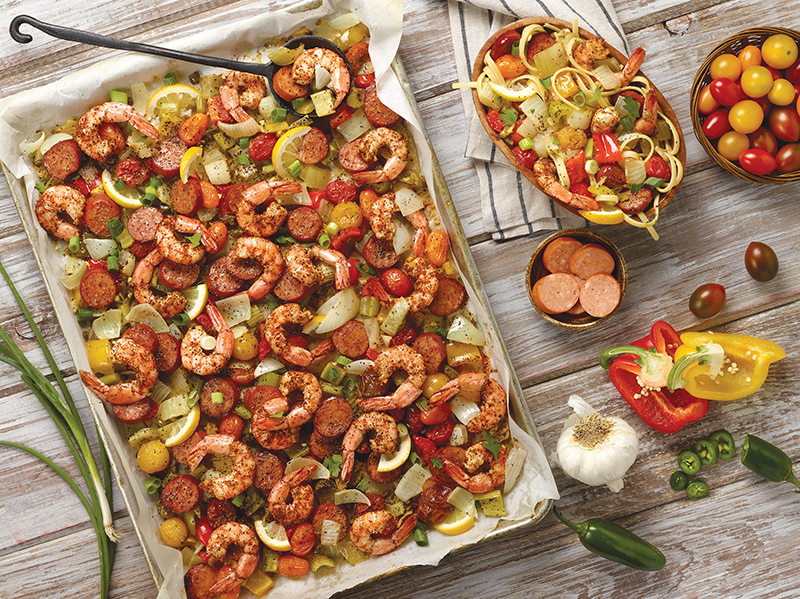 Toss shrimp with Cajun seasoning and prepare linguine noodles. When vegetables are tender, remove baking sheet from oven. 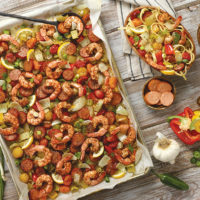 Place shrimp on top of vegetable and sausage mixture in single layer. Top with half the lemon wedges. Return to oven and cook about 5-8 minutes, or until shrimp is no longer pink. Serve over linguine garnished with green onions and parsley with remaining fresh lemon wedges on side.